Sometimes we need a kick in the *you know where* to get moving on a project. There are so many projects to choose from around here - occasionally a deadline really helps. The deadline for this project was that I ordered the water plants online, they arrived 3 days later, and now we've got to deal with them! 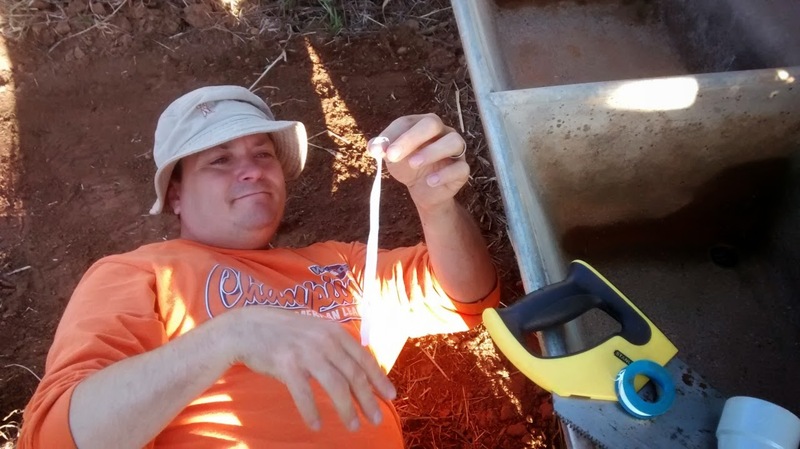 The concrete water troughs are a new use for an old item. They originally belong in a laundry, but one was outside next to the old kero fridge when we moved here, and the other was a bargain at a clearing sale. 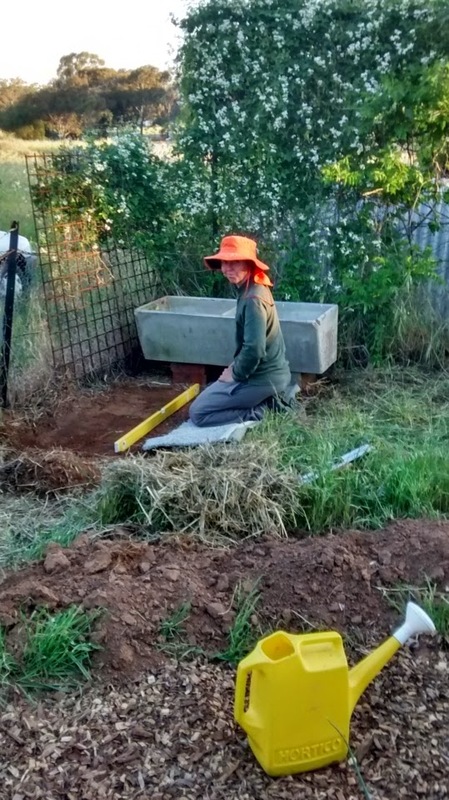 Marty and I had recently been to a workshop hosted by the Albury seed savers group, which inspired us (in a roundabout way, since they were talking about wicking worm beds) to connect the tubs together with plumbing. The first two tubs overflow into the second two tubs, which will (eventually) overflow into a nearby swale. The end result is a home for the three water plants. Ferny Azolla, Kang Kong (water spinach) and Chinese Water Chestnut. 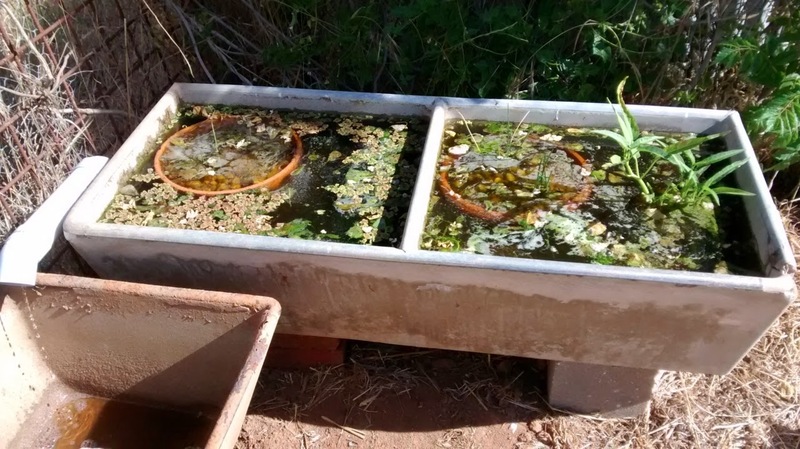 The Azolla was suppose to be for the dam (to help reduce evaporation), but I wanted to start it in here before moving some out onto the dam.. just in case something might like to eat it. Especially since there is no other water plants in there yet. Behind the water garden is a small cut in half water tank that is keeping some garden straw and a bicycle dry, and one day will be raised-up a bit higher so we can walk in there. I want to attach some old gutters to the sides and collect the rain and channel it directly into the water garden - topping it up automatically. These things take time, and since our rainfall isn't very regular, and the water situation isn't great just yet, I thought it only appropriate to start small.